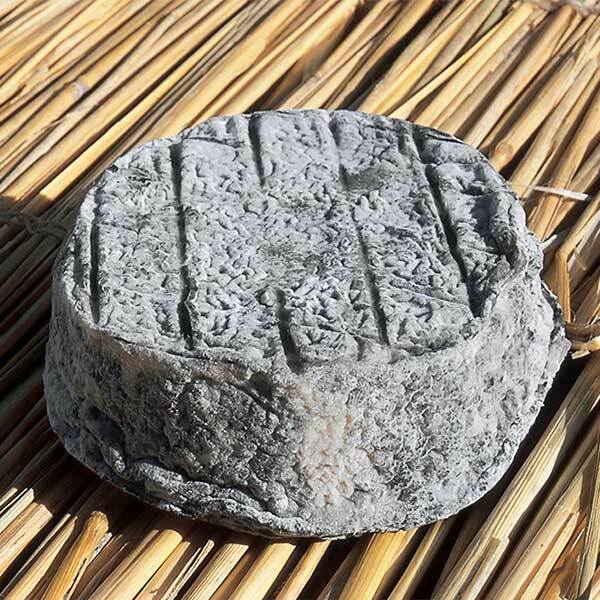 Rind-less, bought either as is out of its mold, or in the mold with a bit of whey remaining. 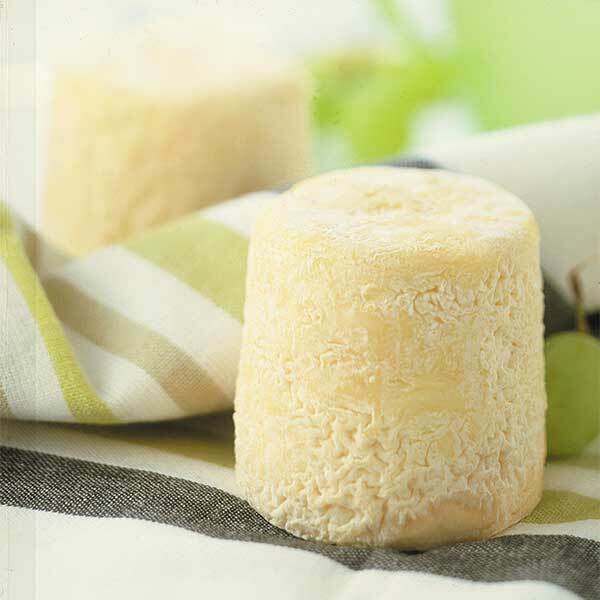 Soft cheese with natural rind or bloomy rind. 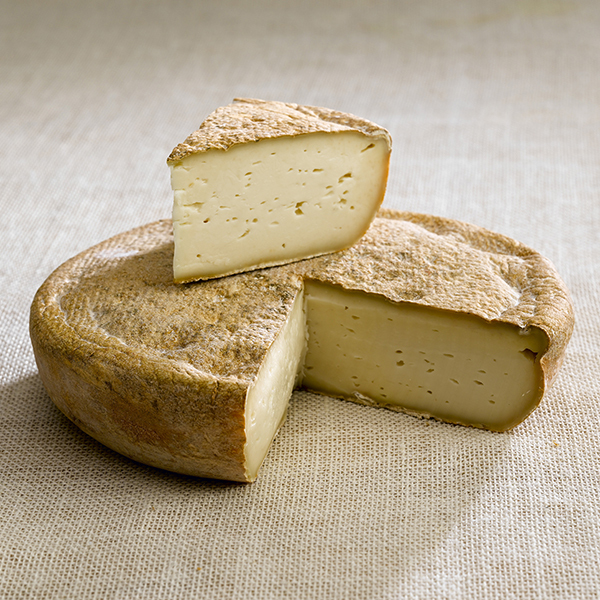 Air naturally dries the outside of cheese, forming a thin crust over time, which is the rind. 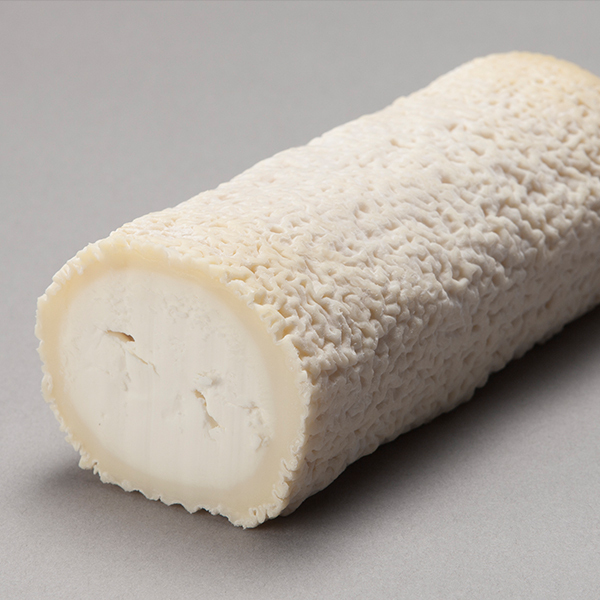 Some cheeses require up to 12 weeks before being released on the market. 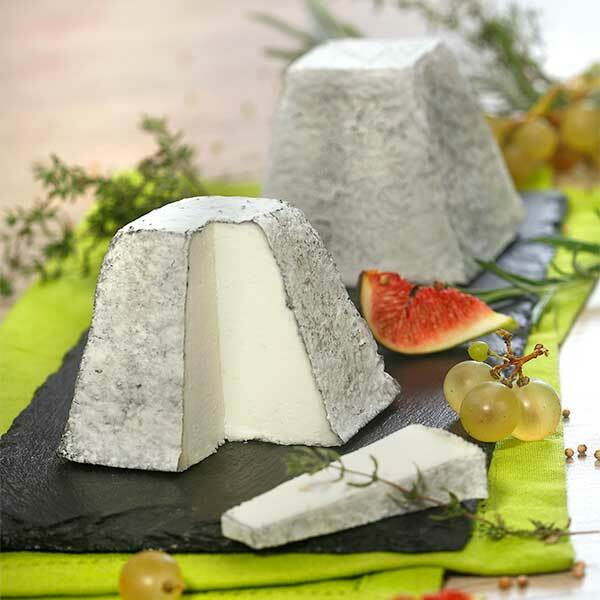 From crottins to cylinders to pyramids, there are many French goat cheese shapes to discover. 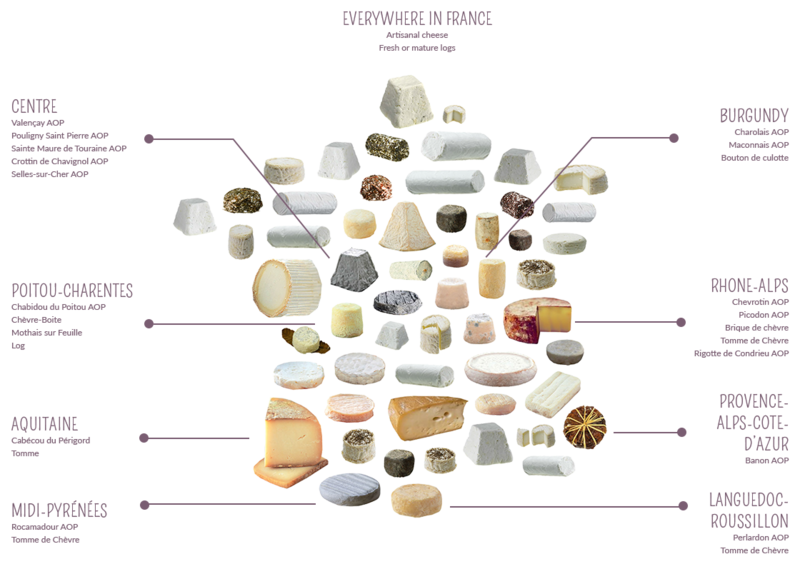 Every region in France has its own cheese specialties, closely tied to its land and traditions. 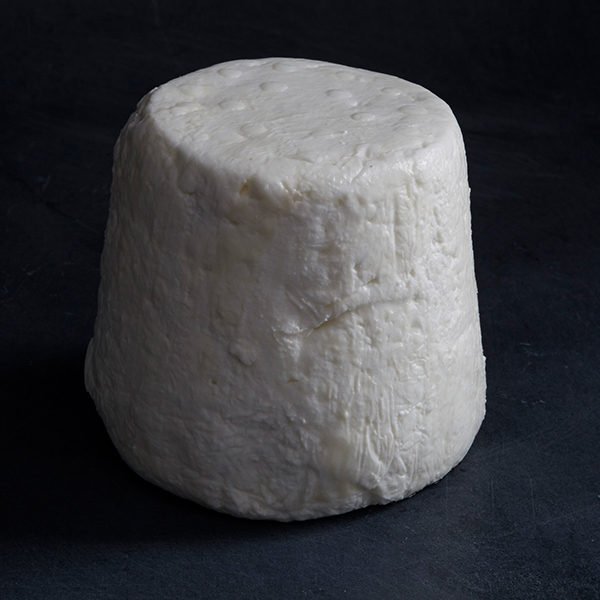 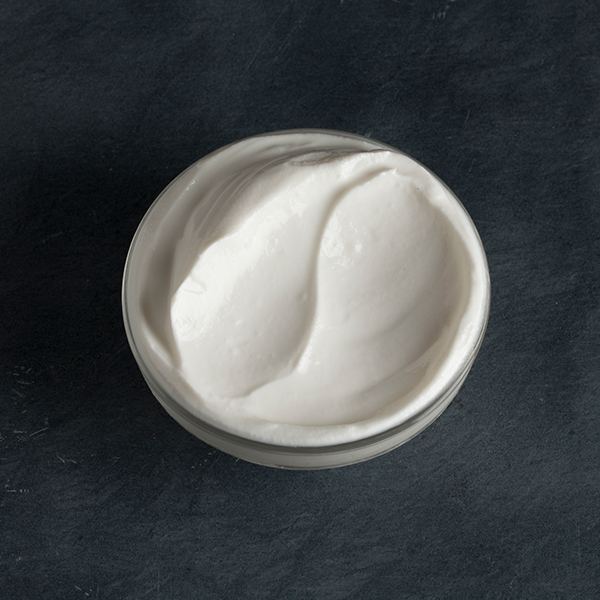 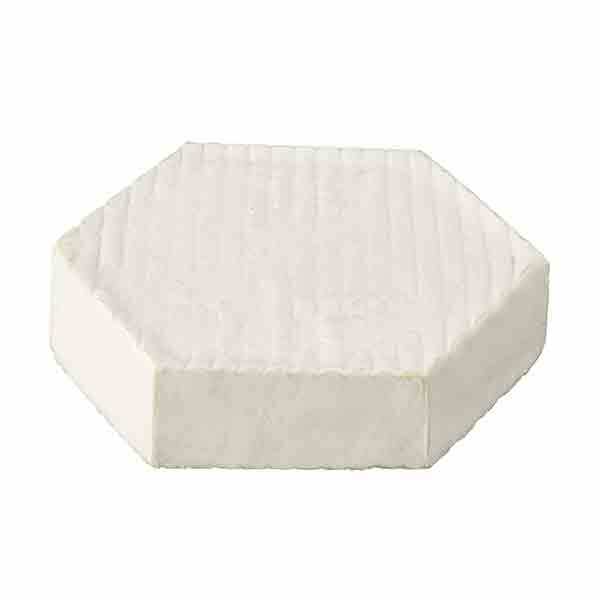 A goat cheese is instantly identifiable by its shape — which indicates its flavor. 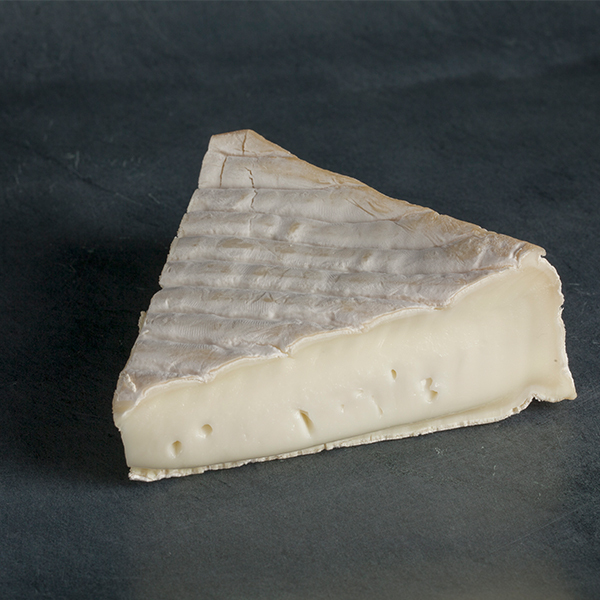 And in addition to the shape, they come in gradations of colors: bright white when fresh, gray with ash, rolled in herbs or wrapped in leaves. 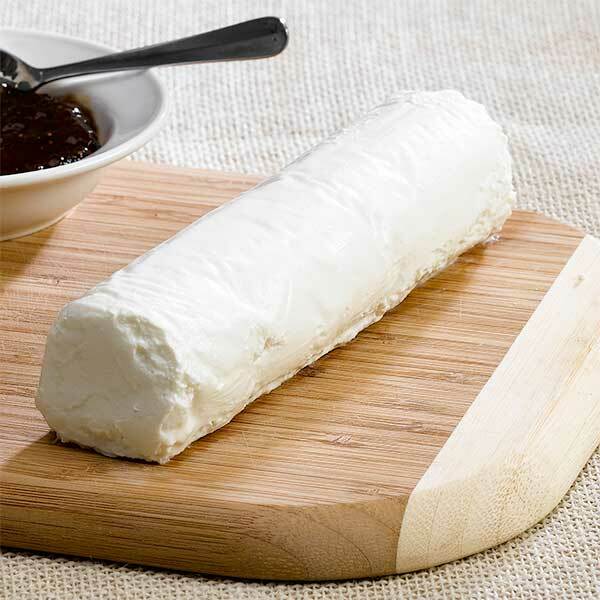 Each goat cheese has its own identity and personality. 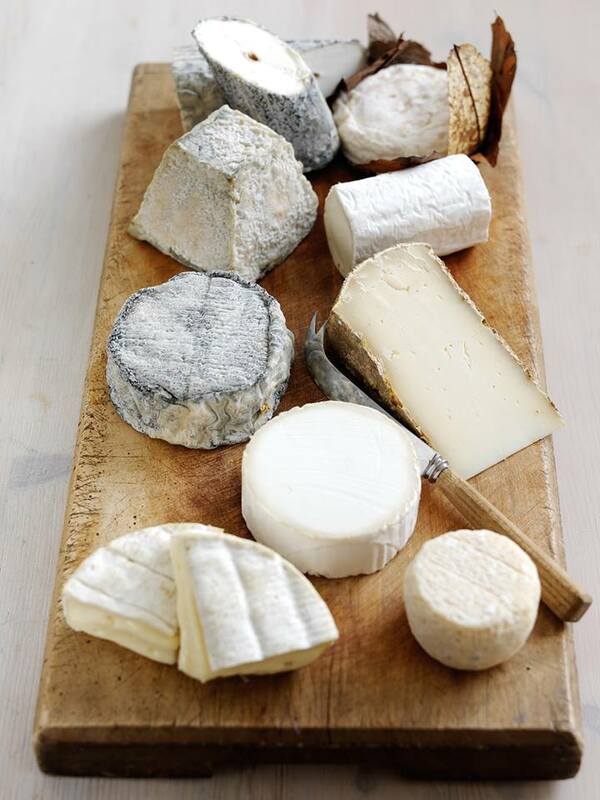 Some are made from raw milk while others are pasteurized. 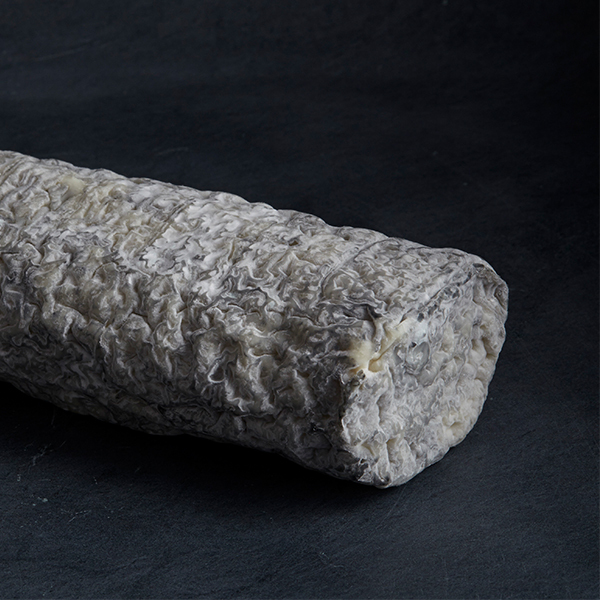 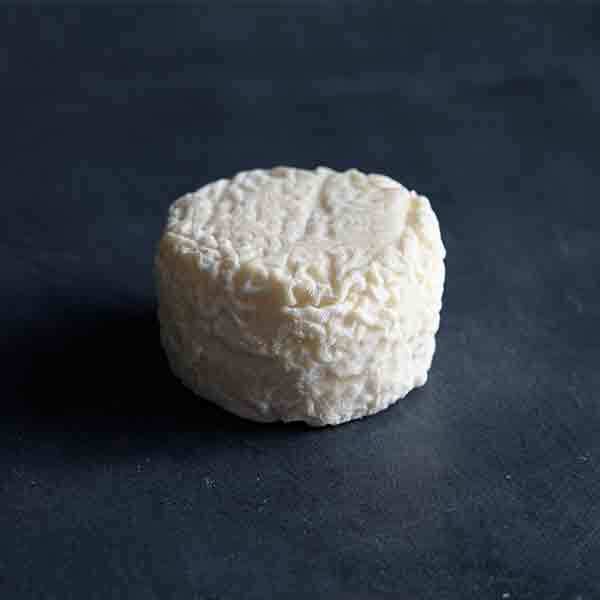 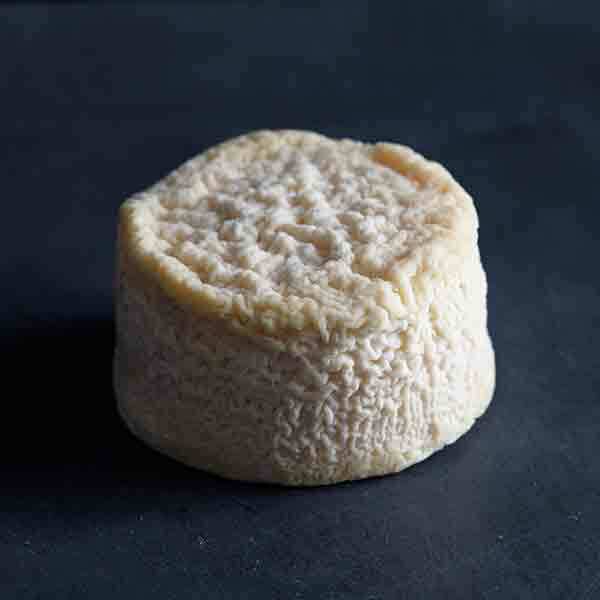 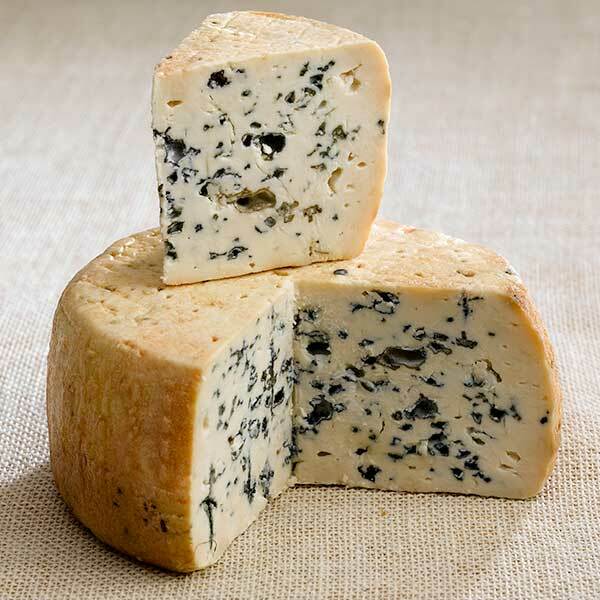 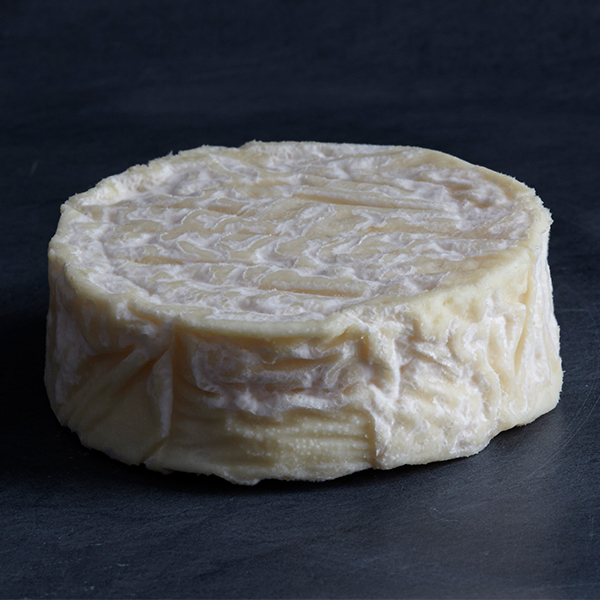 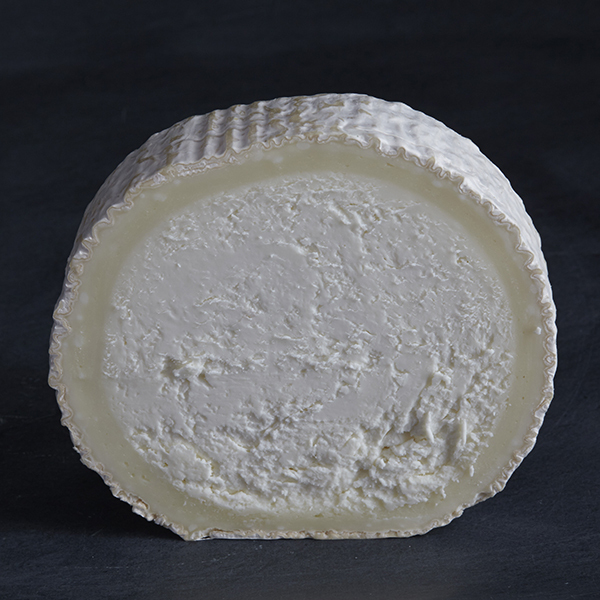 To note: French goat cheeses made of raw milk are available in the U.S. only if they are aged over 60 days.